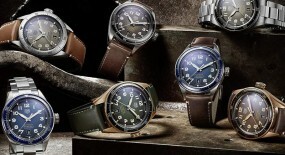 As watches strive more and more towards introducing novelty and new vitality into their most iconic timepieces. 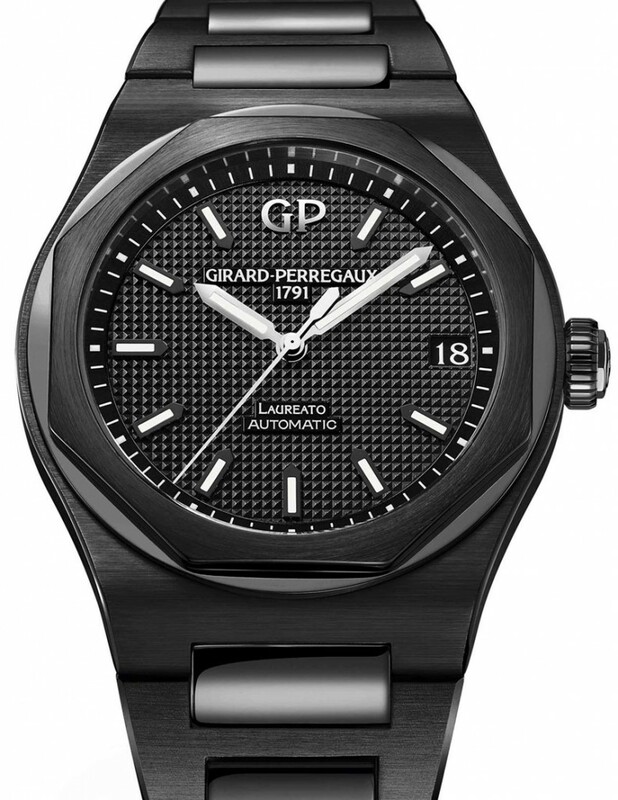 For the first time ever in its history Girard-Perregaux is introducing its “Laureato” model in a new version entirely cloaked in black ceramic; introducing the new “Girard-Perregaux Laureato Ceramic”. 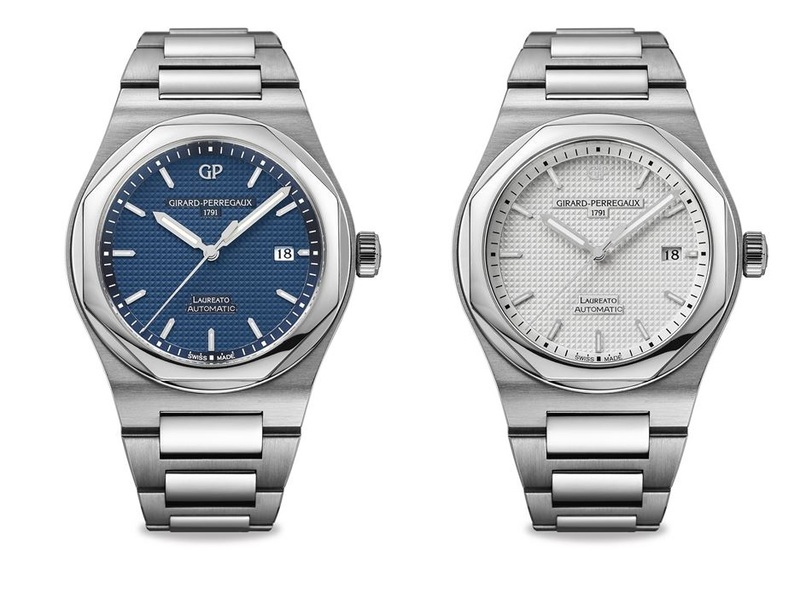 Back during Baselworld 2016 Girard-Perregaux had also celebrated the “Laureato” models 225th anniversary. To commemorate its 40th year in production they released a limited edition of only 225 produced pieces, we also reviewed here. 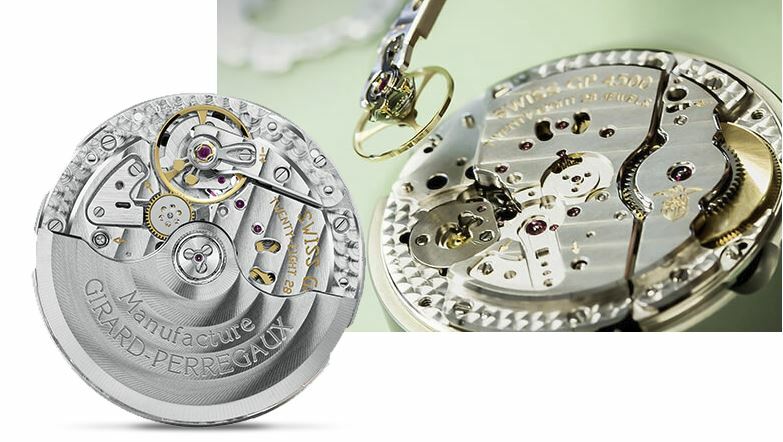 Now this new 42mm case is made of black ceramic with a transparent grey-tinted sapphire case back, which allows to view the inner workings of its mechanical movement. 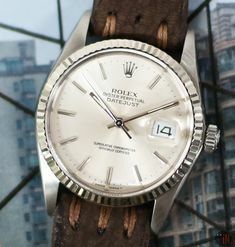 Previous versions of this watch were also available in 34 and 38mm sizes, but those weren’t granted the coveted scratchless ceramic material. 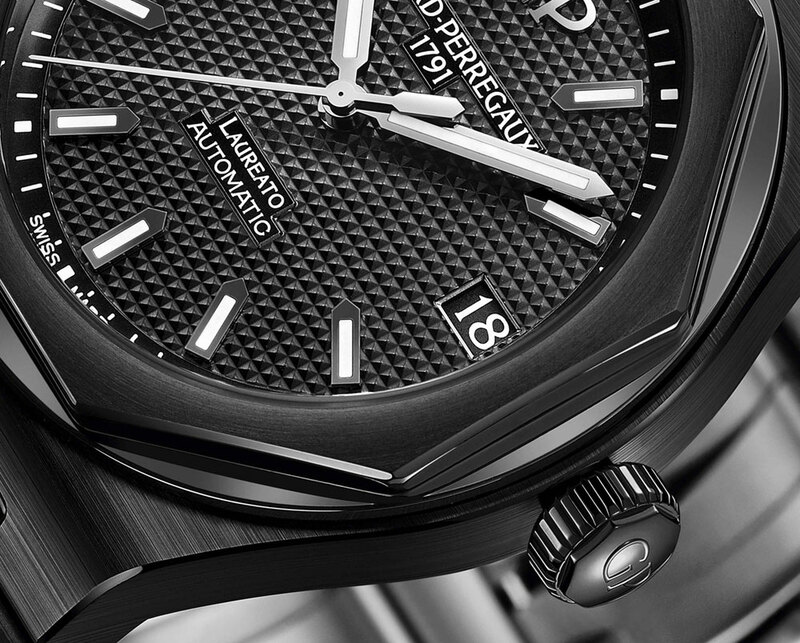 Mounted to the case is an octagonal bezel also made out of black ceramic, matching the case and overall aesthetics. 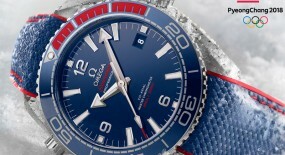 Water-resistance on this watch can reach up to 100 meters (330 feet). 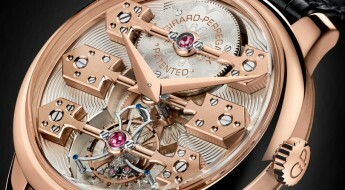 This is quite an accomplishment for octagonal shaped watches to finally be crafted out of ceramic. 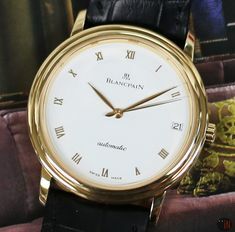 Taking into account the challenge of deciphering the right color formulation, to precisely design the case and bracelet while matching it all with the exact black tone. 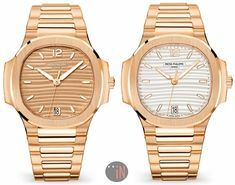 And it doesn’t end there because this design requires fine craftsmanship, to achieve the proper facets the case and bracelet of the “Laureato” demand. 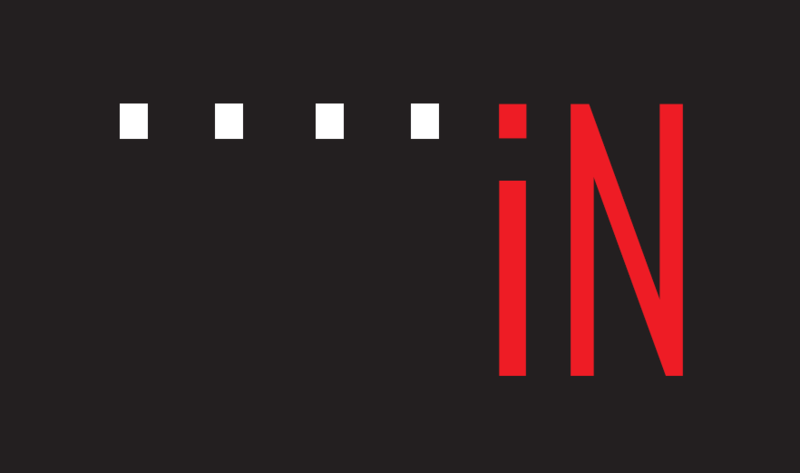 The surfaces of the ceramic material need to be properly polished and brushed with the correct technique, to correctly mimic the lines found on the stainless-steel and precious metal versions. 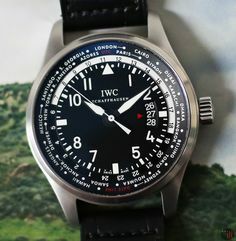 It’s actually surprising none of the other luxury brands with octagonal shaped timepieces, have yet to venture in the ceramic material. 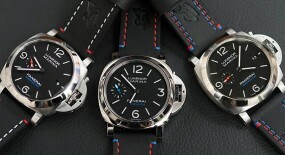 Models such as the: ”Patek Philip Nautilus”, “Audemars Piguet Royal Oak”, “Bulgari Octo” or the Gérald Genta designed “IWC Ingeniuer”. 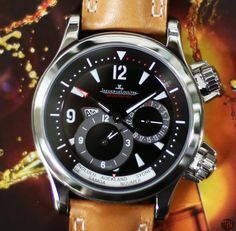 Although “Audemars Piguet” actually beat them to it again! 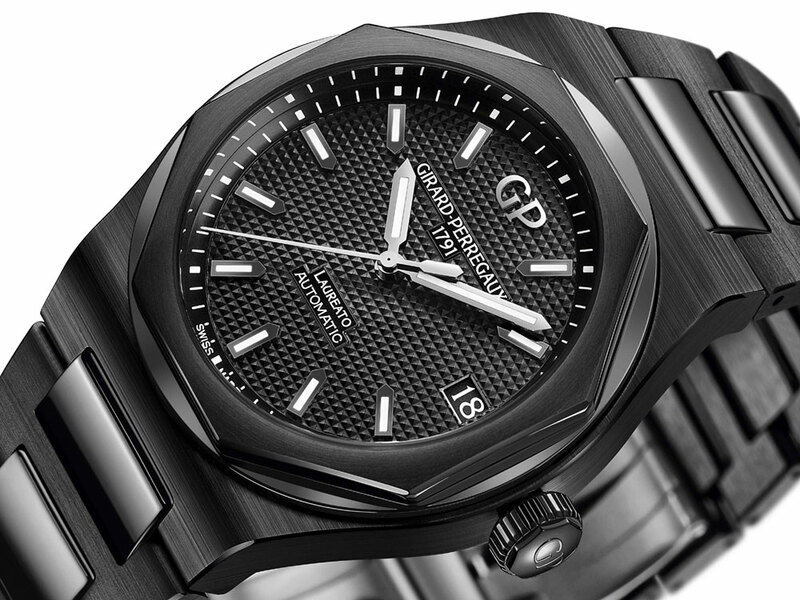 Since they original introduced their “Royal oak” octagonal shaped watch 3 years before the “Girard-Perregaux Laureato” debuted, back in 1975. 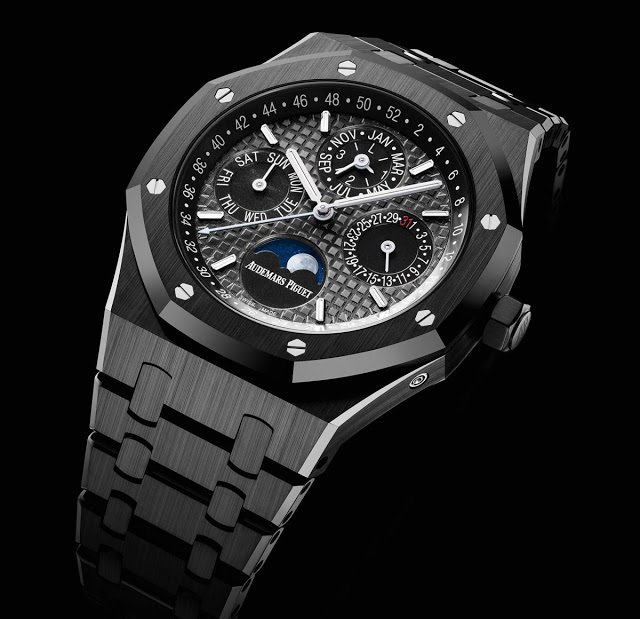 But, this steeply priced over $80,000.00 USD ceramic “Royal Oak” (which we reviewed here), packed with a perpetual calendar; can’t really be considered a viable option for most horology enthusiasts craving a ceramic made watch. 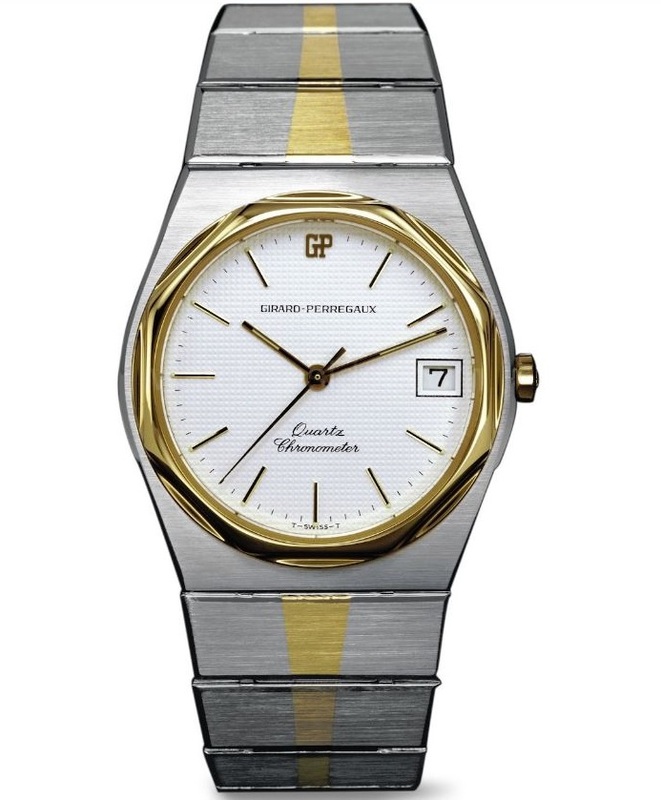 Furthermore Girard-Perregaux has added this ceramic “Laureato” to their collection as a regular production piece, instead of it being a numbered or limited edition watch. 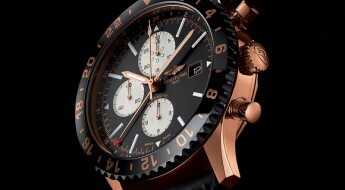 Plus rumors say we’ll be treated to a 42 and 44mm version in the near future, said to be unveiled at the upcoming SIHH 2018. 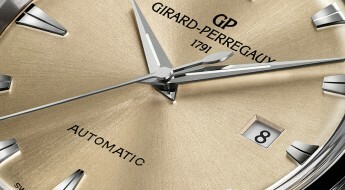 Time is exhibited on a black dial with a “Clous de Paris” hobnail motif with white hour index markers, followed by smaller white minute index markers circling around closer to the bezel. 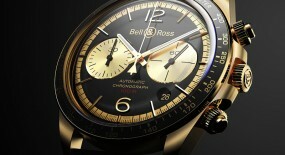 There is also a date aperture located at the 3 o’clock position. 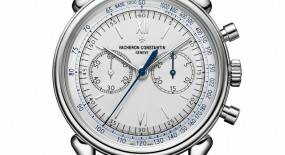 The central hands and all the hour index markers have undergone a luminescent coating, for an enhanced legibility. 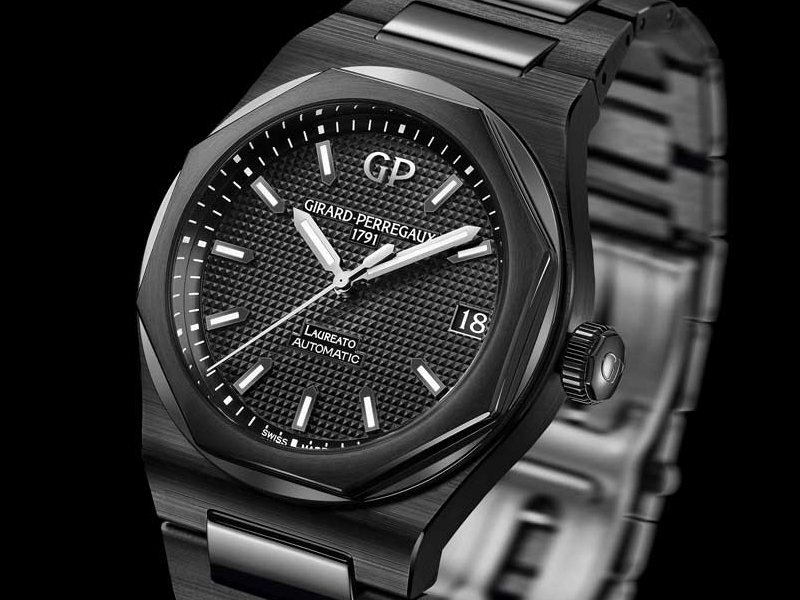 This “Girard-Perregaux Laureato Ceramic” (Ref#: 81010-32-631-32A) is powered by a self-winding mechanical movement, caliber GP1800-0025 with 28 jewels, 191 components and 28,800 vph. 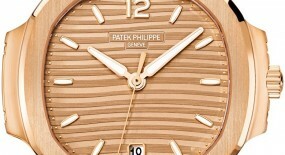 Adorned with circular graining, beveling and Côtes de Genève finishes. 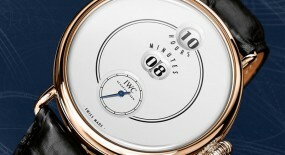 Power reserve on this timepiece can last up to 54 hours, when fully wound. 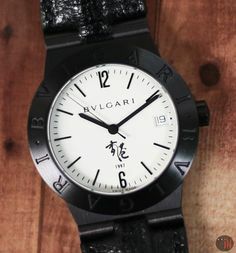 Mounted to the watch is a black ceramic bracelet with a mix of polished and satin-brushed finishing, while secured to the wrist by a black ceramic triple-blade folding clasp. 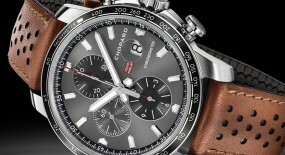 This ceramic model is $2,400.00 USD more than the steel version, with its price point set at $16,700.00 USD. 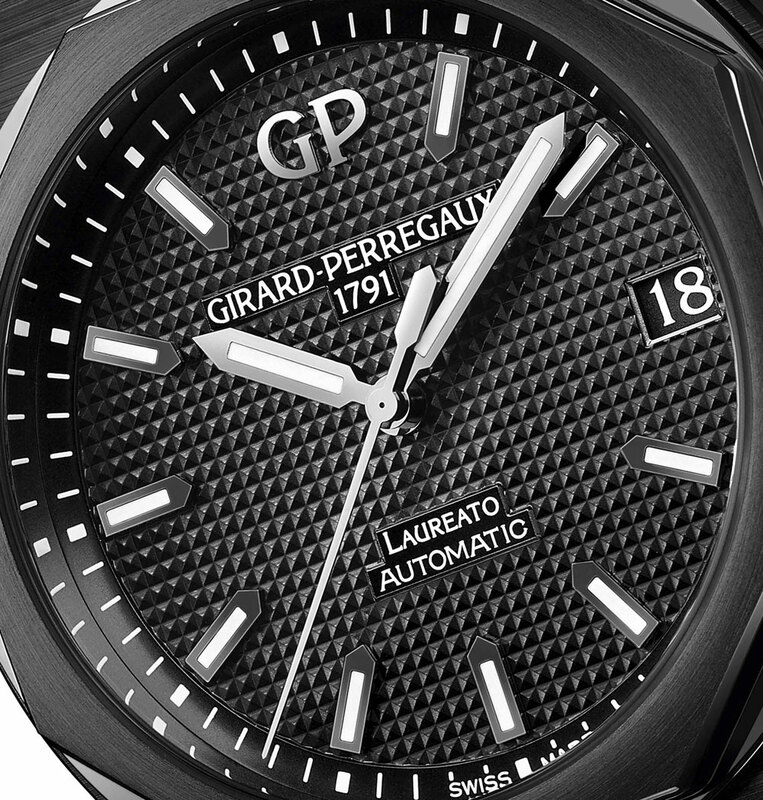 For more up to date information visit the official Girard-Perregaux website here.